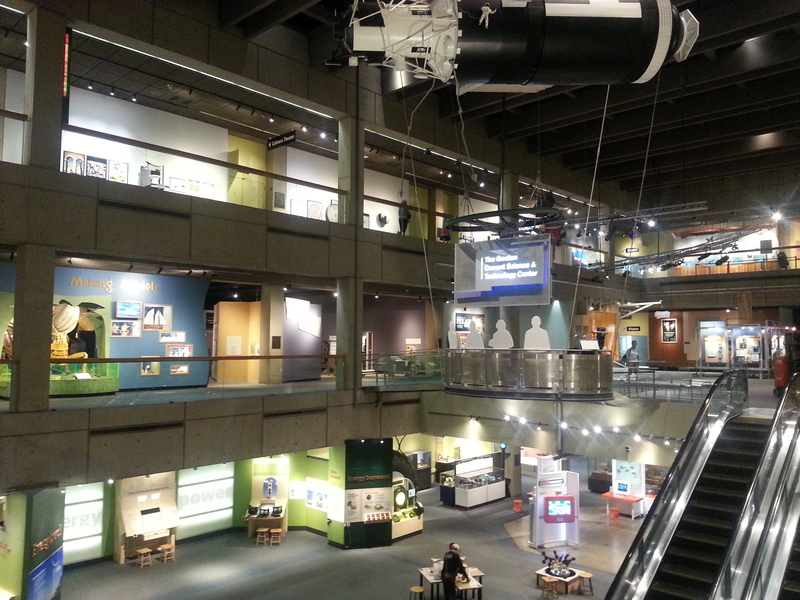 As MIT students (well, temporarily ones, anyway), we had free access to the Boston Museum of Science. Located only a short bicycle ride away from MIT, the MoS is also host to the Charles Hayden Planetarium, popular with both children and families. With 3 floors of exhibits ranging from Nanotechnology to Engineering Design Workshops, there was a wide variety of things to see and do here. Starting with the Mathematics section. Here we see a demonstration of the power of integration. 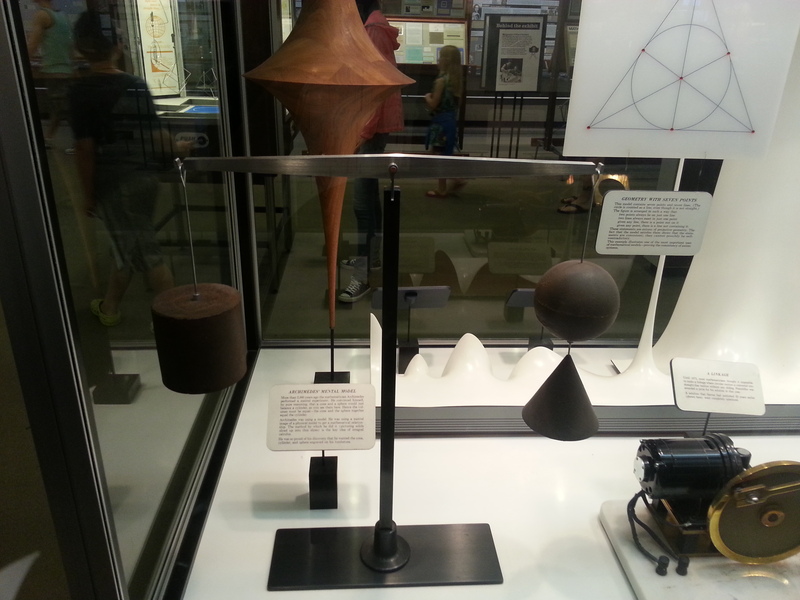 The cylinder on the left and the pair of the sphere and cone on the right have the same total volume and mass, which came from a calculation of integrating curves. 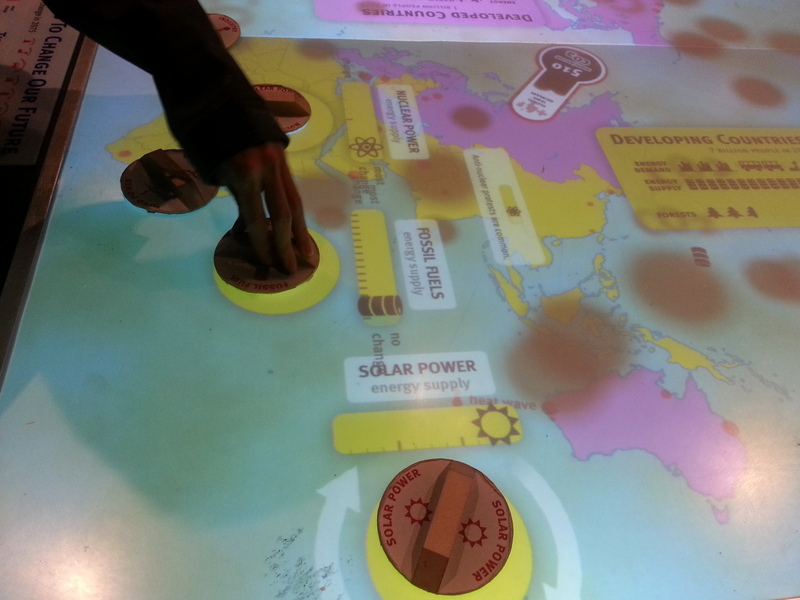 The exhibit on global warming didn’t just explain the challenges we faced, but demonstrated the careful balance that must be maintained while striving toward a better world. Forcing the player to make a series of careful choices, the exhibit demonstrates also the consequences arising from our actions. For example, while increasing the amount of nuclear power utilised throughout the world, we might see a reduction in the amount of CO2 (as shown by the ominous looking clouds hovering above the world), but anti-nuclear protests would erupt in cities around the world. Think SimCity with a world population and a global warming twist. It shows very clearly just how tough the road to a better world will be. 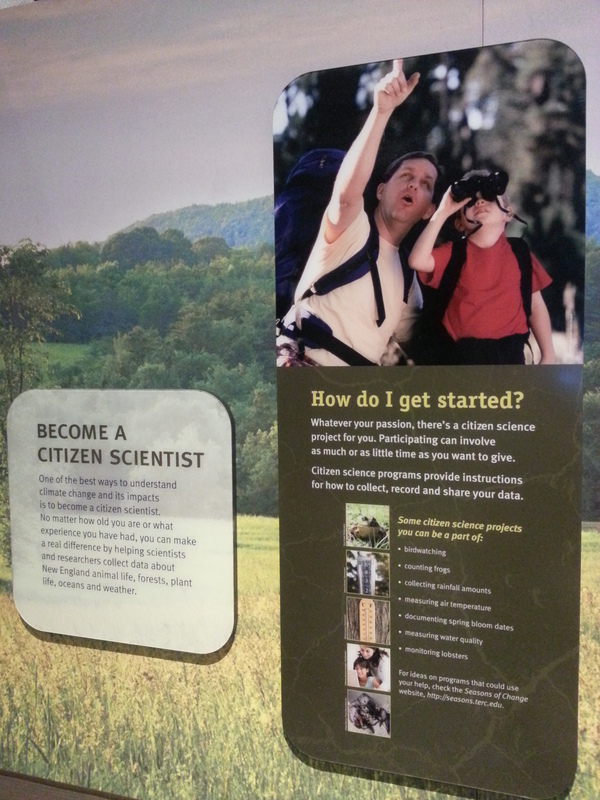 But another great thing about the Global Warming exhibit here at the MoS is it doesn’t just educate – it goes out of its way to inspire and challenge visitors. After learning about the impact of climate change and the difficult task we face in combating it, the exhibit rounds off by telling you how you can help. It’s very well packaged as an experience. The concept is perhaps familiar to SUTD students, but here we see an Engineering Design Workshop that is run every hour or so by MoS staff. Visitors stop by and are given a challenge – build the fastest racecar, for example. Then, using a set of materials provided by the staff, they construct their answer to the challenge and test it at the end of the half an hour they are given. It’s a pretty fun and effective introduction to engineering design, and it’s fairly popular with children, families, and young adults! 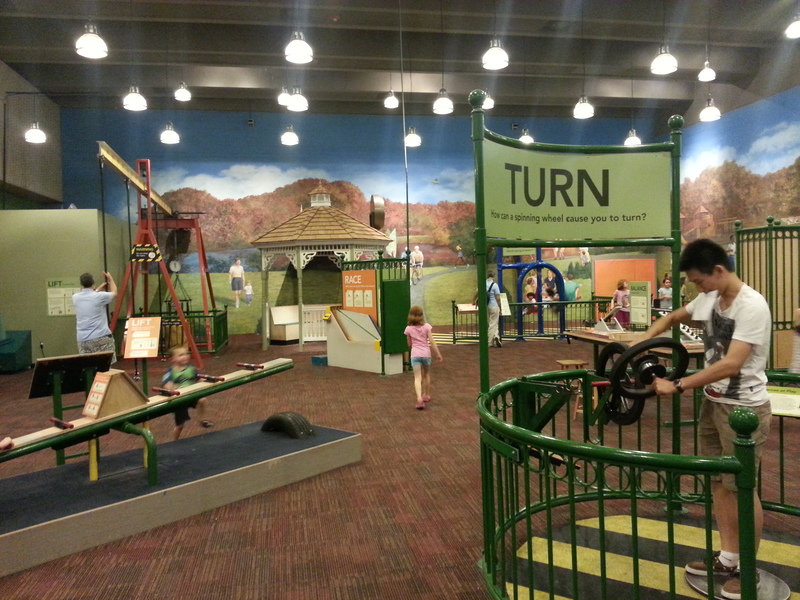 It is often said that children have the most curiosity, and here the MoS helps them learn Science in a way they might find most relevant and enjoyable – the playground. By showing them how even their everyday playground uses principles of physics (even concepts such as conservation of momentum), the MoS will hopefully inspire future scientists to join the ranks.